Going the extra mile … and drawing up loads of inspirations! 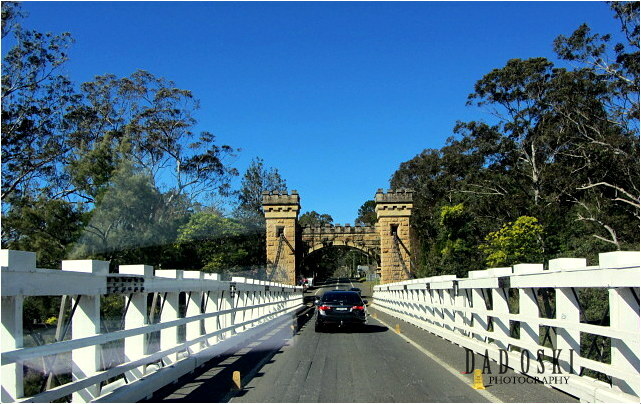 This is the Hampden Bridge in Kangaroo Valley a two hours’ drive from Sydney or Canberra between the South Coast and Southern Highlands. The bridge is wonderfully attractive because of its built and the most photographed in the country. It is the longest suspension bridge built across the kangaroo river and arguably one of the most important examples of bridge engineering heritage in Australia, second only to the Sydney Harbour Bridge. The plate that recorded Hampden Bridge’s past. 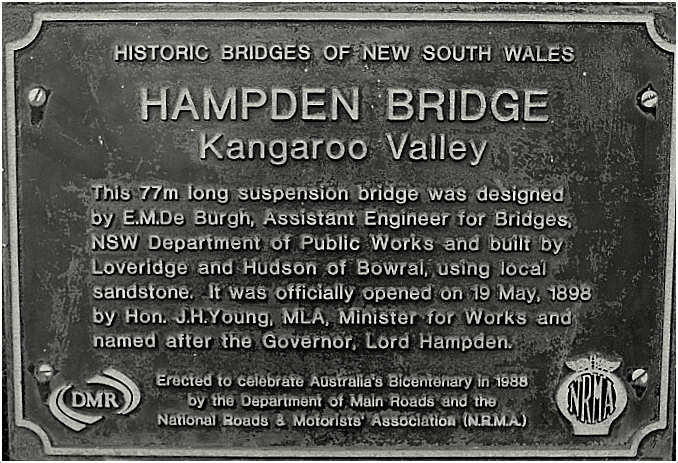 As recorded, construction began in 1895 and the bridge was opened on the 19 May 1898, just six days before floods washed the old bridge away, a just in time engineering feat for the community. 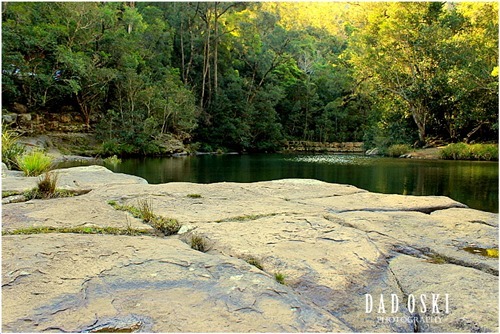 We were here for a weekend getaway two years ago with some friends and had a night slept at the Kangaroo Valley Glenmack Park’s cabins. The longest suspension bridge in the country. We had a hard time visiting this place last year, summer at that time but it was raining so hard. The week before, Sydney got soaked up with rain as well as thunderstorm in some part of it and floods in the northern coast of New South Wales. 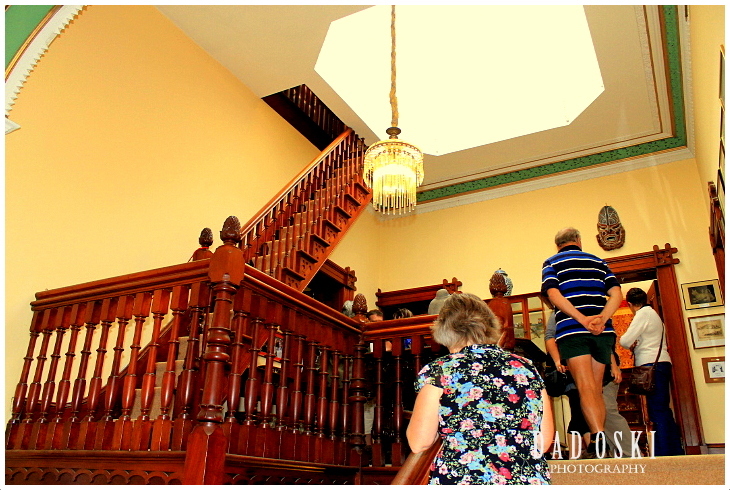 We were scheduled to visit the Abercrombie House at the central part of New South Wales and so rain or shine we’ve got to go because it was the only day that the house was open for public viewing during the month. So along the way, rain was so hard especially when we’re up the mountains. 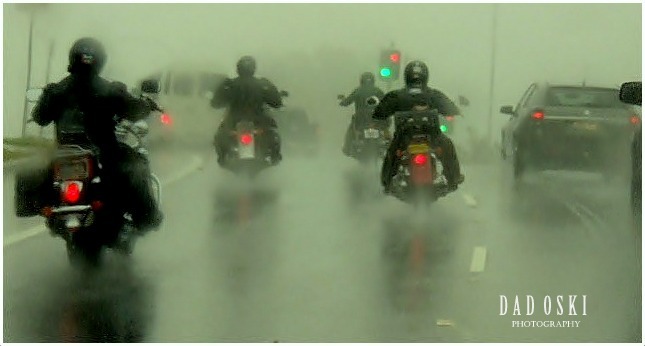 It was even deadly foggy and these guys in motorbikes (see photo) seemed unstoppable in their journey like us. It was really a hard day but we were surprised that it wasn’t raining at all when we arrived at the place where the Abercrombie House is located. At a distant the huge Abercrombie House was visible and we’re stunned at its beauty and architecture. 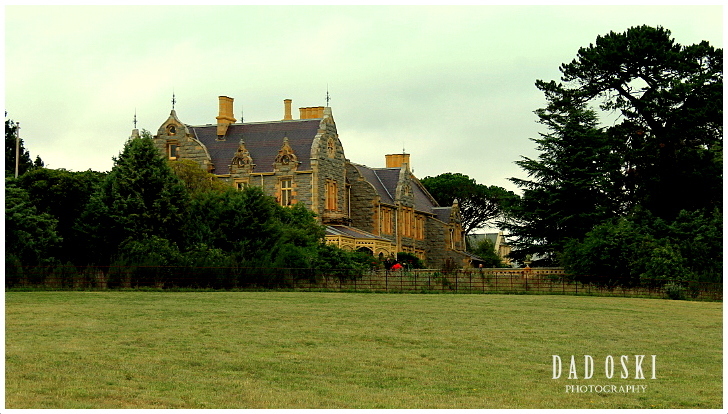 The house is a heritage listed in the Bathurst region, is one of the few Victorian era mansions that do exist today in New South Wales. The house was indeed an old house walled with sandstone with heaps of rooms, beautiful lounge rooms and an awesome garden. We were with a group tour that day, and our tour guide was the owner himself. It has an interesting history, from the first owner William Stewart who came to Australia from England in 1825 as part of the colonisation of the penal colony until to its present owner, the Morgan family. It was also the home to Australia’s first famous archaeologist, James Stewart who specialised in Cypriot and Near eastern Archaeology that was before the Morgans. Everyone in the group was fascinated and awed with every bit of its history as the owner gestured every important aspects of the house, rooms are unique to each other. It’s a tall house with furnishings still intact, preserved from its 1800s until now. The Morgan family has spent many years restoring the magnificent house and its buildings and grounds. Our group after the tour, outside the house still sharing stories. 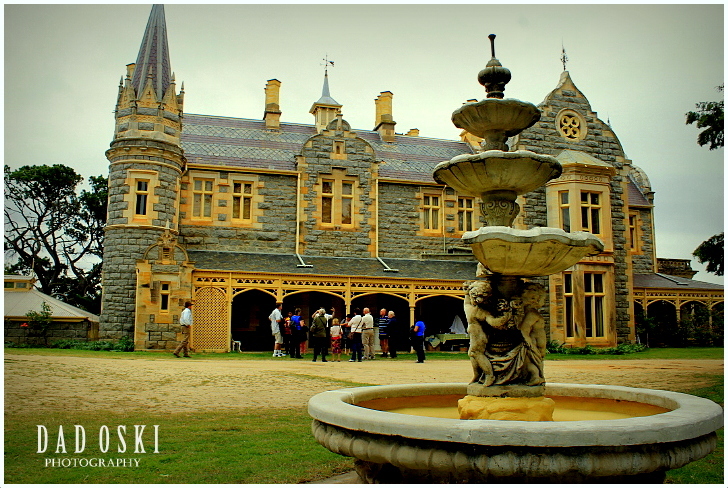 Abercrombie House also provides a spectacular venue for public functions and private events. Bookings are required for group tours as well as educational tours for the children. 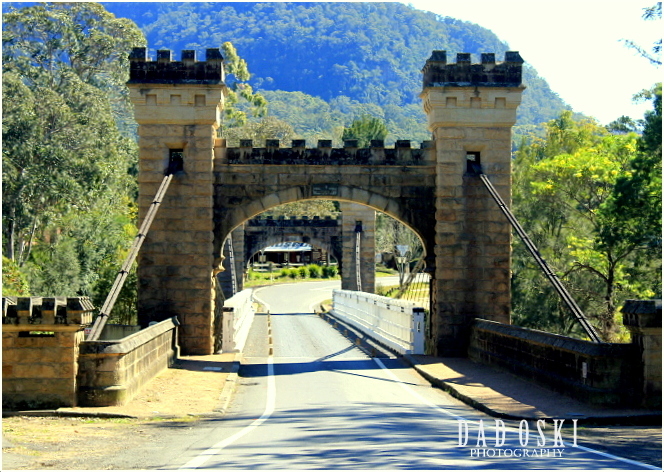 Kangaroo Valley is a gently sloping valley surrounded on its side by high mountains of the New South Wales Southern Highlands, approximately two hours’ drive south-west of Sydney and about two hours north of Canberra. The invigorating and recuperative powers of the valley are generated by the rich green pastures, the sparkling creeks and rivers and the lush rainforest, all guarded by the magnificent escarpments, a fantastic attraction indeed. 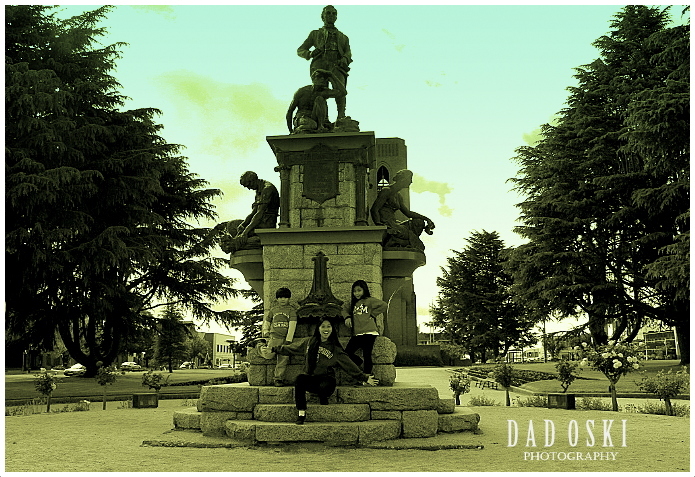 It’s one of the many beautiful places we visited with our family friends. We stayed here for two days roaming and digging up historical landmarks like the Hampden Bridge, first Australian Bank and many more. 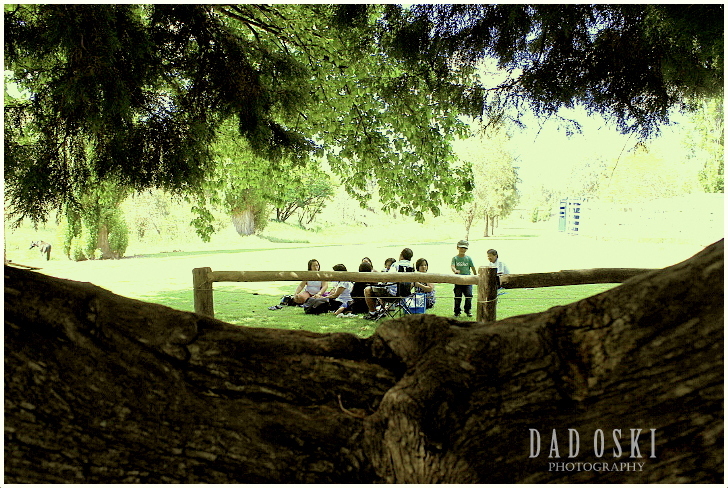 We had also the chance to drive up to the Upper Kangaroo Valley where we witnessed a unique Wedding celebration. The famous and picturesque Hampden Bridge. In the Kangaroo Valley Township there are varieties of country style shops including antique, craft and confectionery outlets. Most of the shops were designed in the olden day style houses. 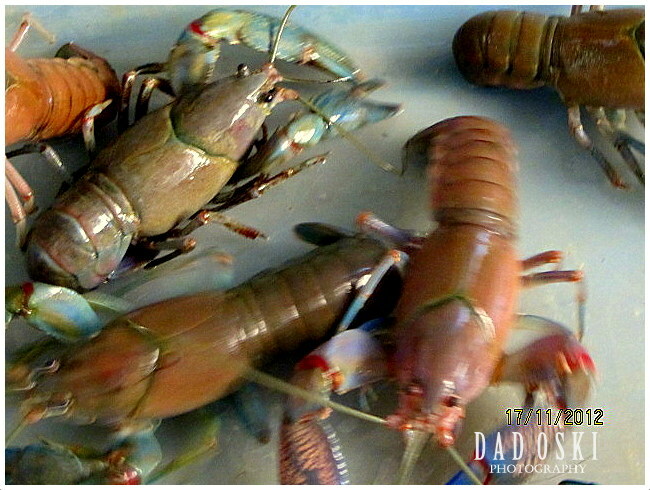 There is also a range of fine eating and is available at the local restaurants and cafes. 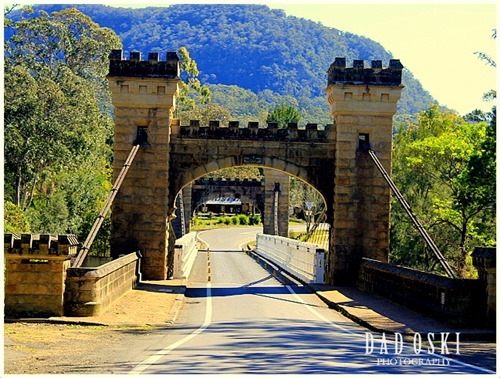 Kangaroo Valley is home to an orchard based tourist attraction which is fascinating to young and old. A pioneer farm museum also welcomes visitors. When we left the place at about ten in the morning, it was also the kick start of the Celtic Festival of the people there. All in one this place has this magical expanse of rolling and lush pasturelands. By the way, the town has only less than five hundred people during the 2006 census. At the Upper Kangaroo Valley, with cool, rocky river and thick vegetation. 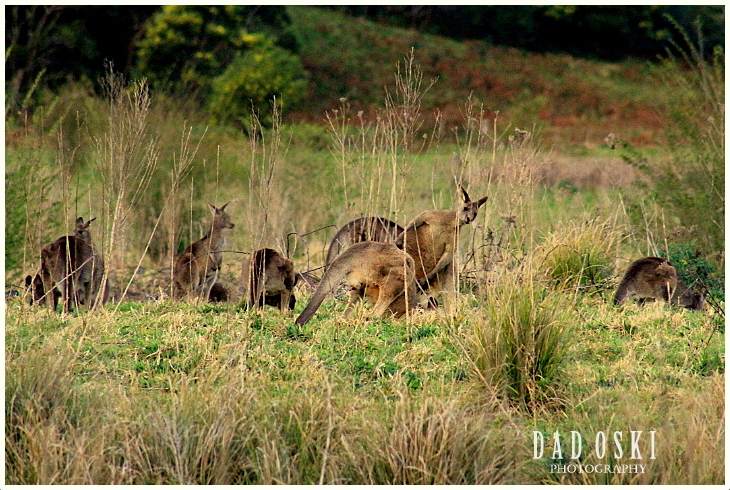 Kangaroos roamed around certain part of the valley especially when the sun is about to sets down the horizon. 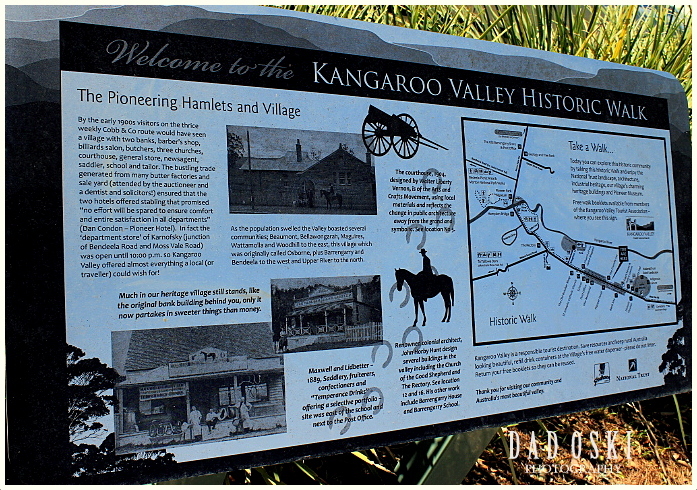 The welcoming Kangaroo Valley billboard. December, last year, together with some friends embarked to a trip to Bathurst, Lithgow, Orange, Wellington, Gulgong, Mudgee and Rylstone, to Bilpin. On the first day, we passed by the Blue Mountains up to Bathurst, down to Orange and Wellington. We had our camp at Mudgee and on the following day we visited Gulgong, Goree, Rylstone via Lue Road. On our way back home, we passed by Kandos and into the Castlereagh Highway that connects to Lithgow, and then turned right up to the Bells Line of Road and out to Richmond Road. It was a two-day trip, very hectic indeed but exciting and an awesome journey. These places have been attracting my interest for quite some time before and have been just waiting for a good time including the weather to calendar a visit unto them. And so, one fine day, at around half passed five in the morning, we began our trip. At the Mudgee Tourist and Van Resort in Mudgee, New South Wales, we had our slept over rented cabins. Nice cabins, fully furnished! Our time to visit these places was so tight. It was in Wellington that we spent more than a couple of hours because of the tour schedule into the caves. We were given the last tour for that day which was half passed four in the afternoon. A no choice decision indeed! At Bathurst, we took some remembrance photos at the Court House and at the adjacent parks, and then drove up to Mount Panorama, a motor racing track and is the home of the Bathurst 12 Hour motor race, held each February, and the Bathurst 1000 motor race, held each October. I like the city of Bathurst. The ambiance of the city surroundings – old and new houses, parks, flora and fauna, people, dining, etc., are just awesome and captivating. Bathurst is a regional city in the Central Tablelands of New South Wales, Australia. It is approximately 200 kilometres (120 mi) west of Sydney, is the oldest inland settlement in Australia. It is often referred to as Gold country as it was the site of the first gold discovery and where the first gold rush occurred in Australia. Today The Legend of Peter Brock, education, tourism and manufacturing drive the economy. The name Mount Panorama was formed and grouped from white stones. At the top of it is an excellent lookout or view of the Bathurst Central Business District as well as the racing circuit. 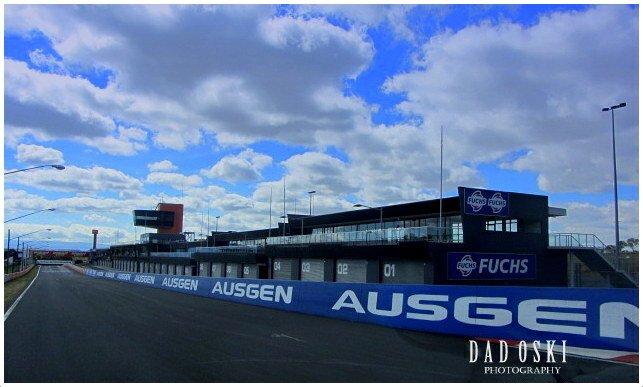 This was my second time to visit Mount Panorama, the first was in year 2000 together with another group of friends. There were a lot of developments here compared to ten years ago, and one of them is the building of the National Racing Museum right at the entrance to the racing grounds. We reached Orange at noontime of our first day. 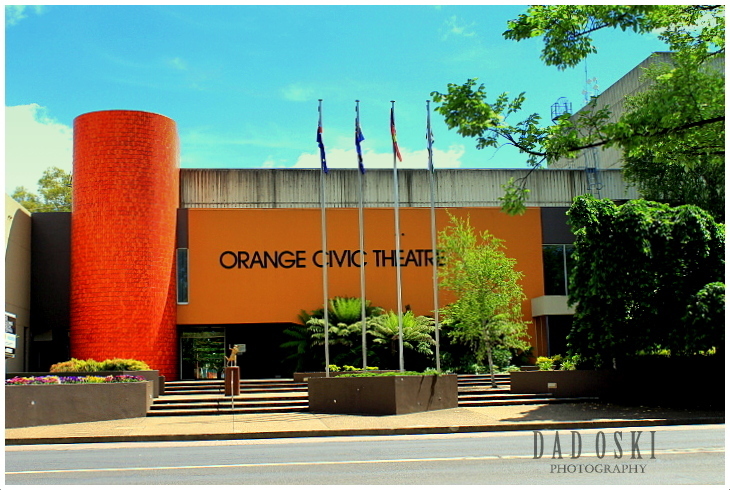 Orange is 254 kilometres (158 mi) west of the state capital Sydney. We had our lunch at the central park located at the city centre. Orange is a well-known fruit growing district, and produces apples, pears, and many stone fruits such as cherries, peaches, apricots and plums; oranges are not grown in the area, as the climate is too cool. In recent years, a large number of vineyards have been planted in the area for a rapidly expanding wine production industry. The growth of this wine industry, coupled with the further development of Orange as a gourmet food capital, has ensured Orange’s status as a prominent tourism destination. Cadia Gold Mine is a large open cut gold and copper mine located about 20 kilometres south of Orange. The mine has been developed throughout the 1990s and is a major employer in the region with an expected lifespan of several decades. Cadia is the second largest open cut mine in Australia after the Super Pit at Kalgoorlie, Western Australia. Large mineral deposits are also being uncovered from the more recently developed Ridgeway underground mine which is adjacent to the Cadia Mine. This is one of the many beautiful and huge parks in Orange and it is called “Cook Park” named after Captain Cook, the explorer. 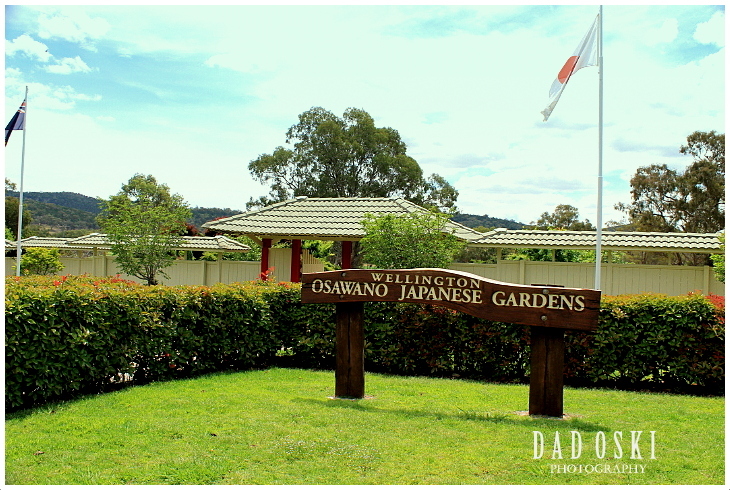 When we were here, heaps of people were enjoying the park, had picnics, and the playground full of fun seeking children.Sunken Rose garden, water features, children playground, are just some of the park’s features, and huge old trees dominate and are prominent in the park. 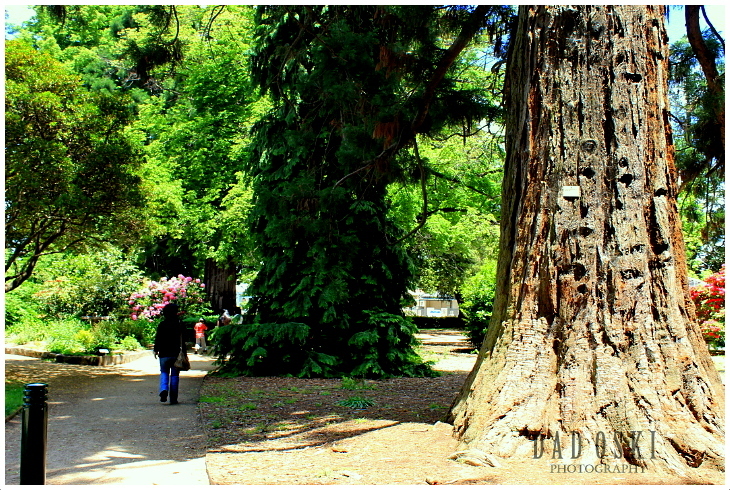 It’s a park that could inspire people to get closer to nature, trees, flower, etc. 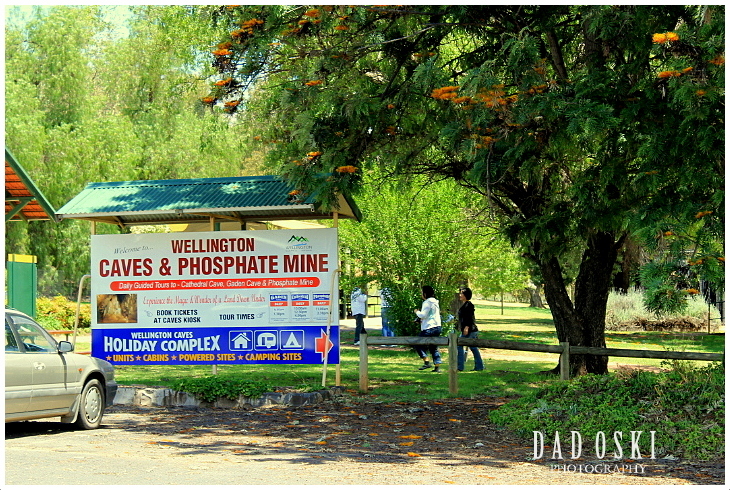 At the Wellington Caves Sales Ticket House front yard. After Orange, we drove up through the region of Wellington, a town which is 362 kilometres from Sydney on the Great Western Highway and Mitchell Highway. The first Europeans who discovered the area in 1817 named it “Wellington Valley.” As a regional centre Wellington benefited by the development of the gold mining industry in the district from the 1850s. Now, Wellington is the centre of rich agricultural land. While lucerne and vegetables are grown on lands on the river, wheat, wool, fat lambs and beef cattle are grown on surrounding pastures. At Wellington, we had the chance to visit the Wellington Caves, and the nearby Osawano Japanese Gardens, an awesome garden. We reached Mudgee passed six in the evening and was getting dark when we arrived at the compound of Mudgee Toursit and Van Resort where we stayed for an overnight. The resort is a four star and their cabins were just that right for our needs. Mudgee is a town in the central west of New South Wales, 261 kilometres north-west of Sydney. The Mudgee district is well known for its fine wine. Mudgee has developed as a wine producing region and is a popular destination for tourists, who visit the forty wineries operating in the Mudgee district. Other rural produce includes cattle, sheep, wheat, lucerne, olives, fruit, tomatoes, corn, honey and dairy products. 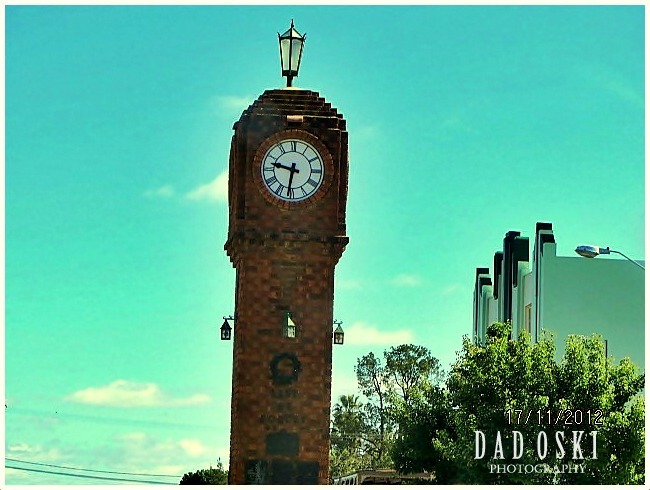 Mudgee Clock located at the town centre. 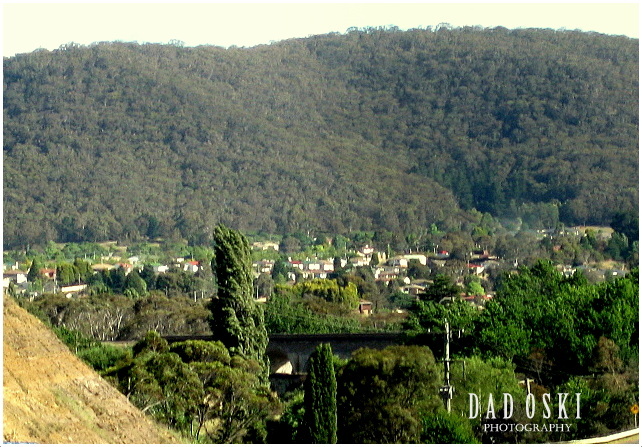 The towering big clock above is the great landmark for Mudgee. Photographers never miss to include it in their souvenir shots for Mudgee. 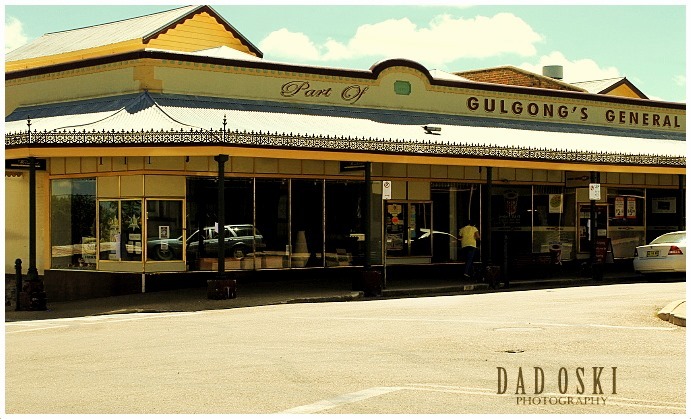 The following day, we visited the town of Gulgong which is a 19th century gold rush town in the Central Tablelands and the wider Central West regions of the Australian state of New South Wales. 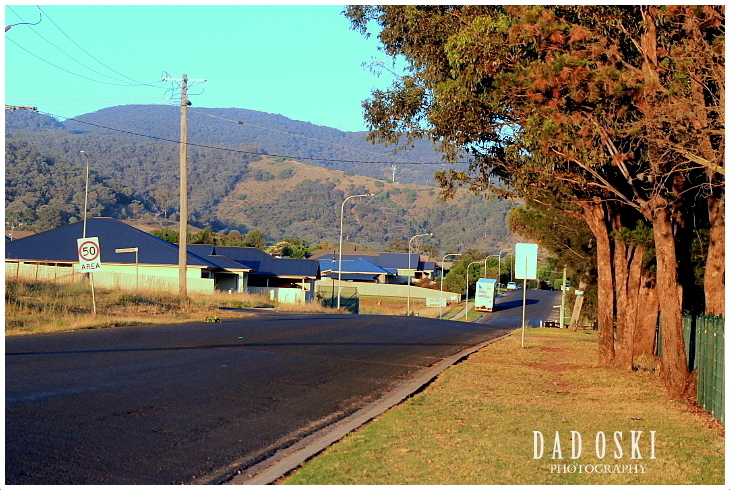 The town is located about 300 km (190 mi) north west of Sydney. Some of our companions entered the Gulgong’s Pioneers Museum while some wandered at the town. Another attraction of Gulgong is the “Prince of Wales Opera House” but we’re not able to get inside of it as it was closed at that time of our visit. Along the way we had a brief stop at the Gore Park Wines and Vineyard as well as the Yabby Farm. We did buy some wines and yabbies, too. 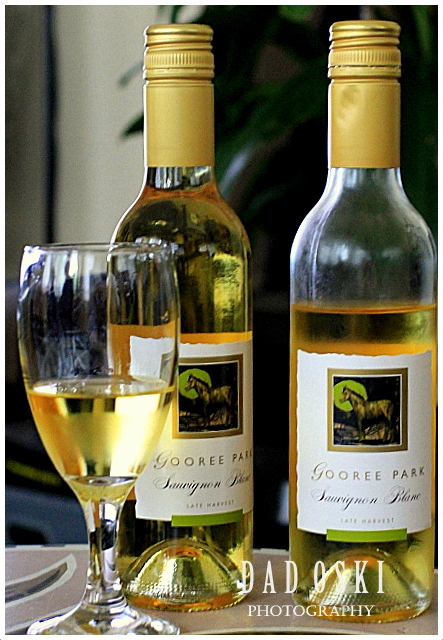 The wine we bought from the Goree winery. From Mudgee, we traversed the Lue Road that connects to Rylstone. 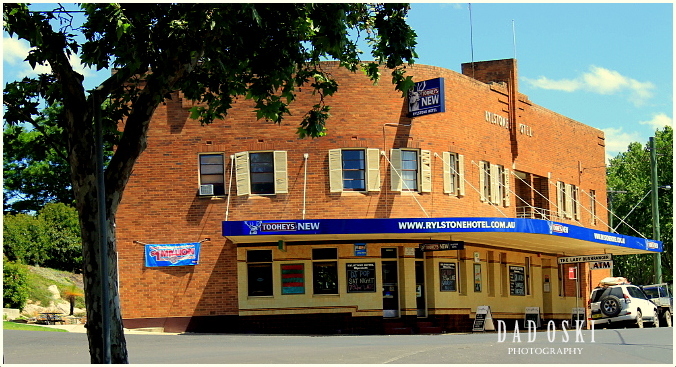 Rylsonte is another awesome small town (with 615 people during the 2006 census) located in the central tablelands of New South Wales. I felt the pleasure of driving in the middle of huge farms, rolling hills blanketed with grasses and under canopies of trees along the way. 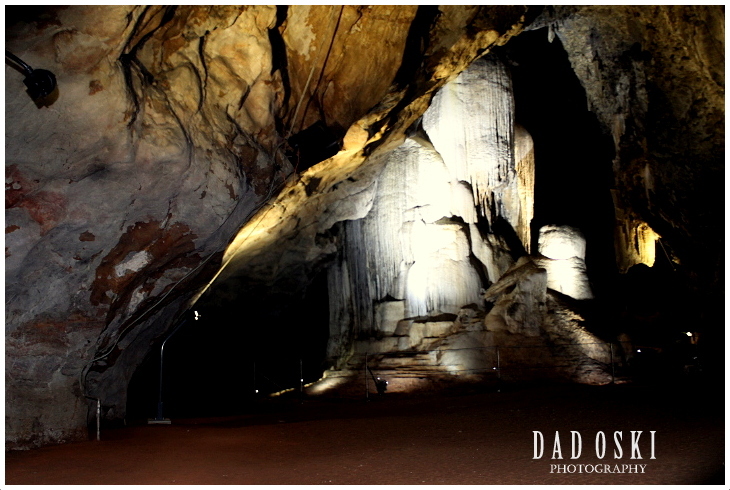 These are just some of the stunning sceneries of rural and wilderness landscape of the place. We reached Rysltone at around three in the afternoon, a bit warm but airy. We had an hour of fine relaxation, rest, and enjoyment of the place close to a Pony Club under the shades of three big trees. 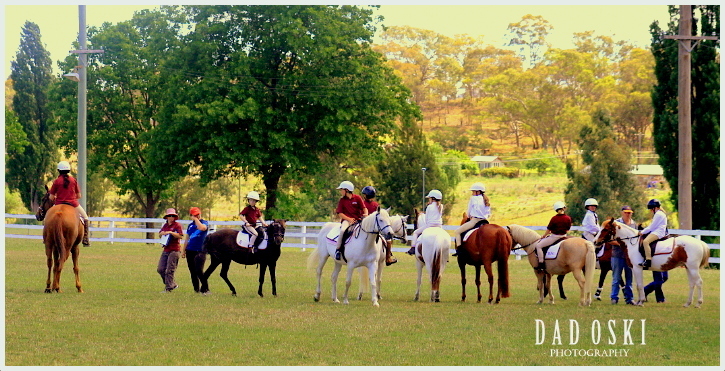 Here, we had the chance to watch children fully dressed up in elegant style while being trained by the elderlies on how to ride horses properly, like a true Equestrian players. I had seen young girls bathing their ponies under the shade of trees with soap and water. Children dressed up elegantly while taking reigns on their horses. Our group enjoying the airy and warm environment of Ryslstone. It was almost five in the afternoon when we decided to drive home. We passed by Kandos then up to Lithgow, and turning left up to the Bells Line of Road. We stopped in one of the Coffee Shops along the Old Northern Road where we had a brief stop for a rest and bought something to eat, time clocked almost six in the evening. At the terrace of the shop, still, we had a good view of Bilpin’s mountainous landscape dotted with ever green trees and grasses. The Coffee Shop has a good location indeed to entertain its customers who love nature. Our weekend getaway though only two days was awesome and fantastic! Why? Because we came to know the central tablelands of New South Wales, where they are, their remarkable beauty and great treasures of history and landscapes. Travelling into these places is one of those opportunities in our lifetime that enriched our knowledge about places around us and indeed proud of being there ounce too, above all it created an ever lasting memories of fun and enjoyment. 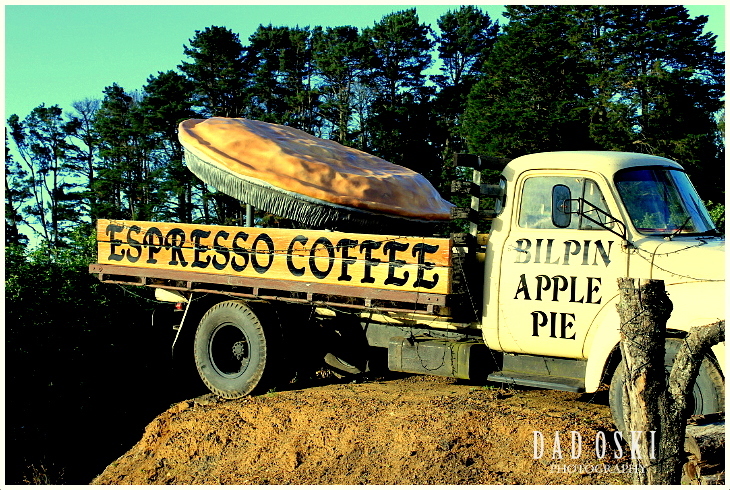 … Oh Dubbo! We dropped Dubbo off from our schedule to visit it because of time constraint. Dubbo is another place worth visiting which is about less than an hour drive from Wellington, but anyway we’ll make another travel schedule to it sometime.